This reminds me of "Tio"-worship in the Bolivian silver mines of Potosi. The miners--'devout Catholics' all--go to Mass on Sunday, and offer an idol of the Devil (whom they call "el Tio", or 'uncle' in Spanish) sacrifices of coca leaves, alcohol, and tobacco during the work-week to ensure he doesn't "eat their souls" by collapsing their mine. Both Catholic and indigenous priests 'bless' the mines, the latter using the caught blood of a llama slaughtered for the occasion. Trailer for the documentary "The Devil's Miner". Another documentary, if you can stomach the leftist dribble of the narrator; watch for her comments at the end of the 5:30-5:55 minute stretch. Oops -- that trailer link again. The other side of the story that you don't tell is that much of this was the Church's own fault. 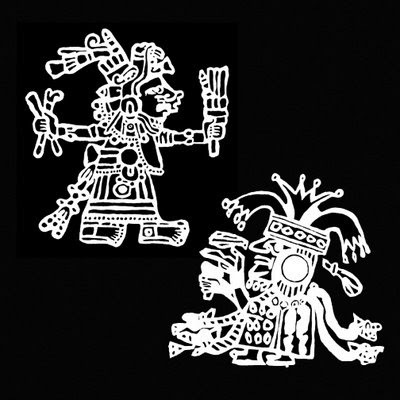 In the Yucatan, and certainly in the Maya highlands, the clergy were few and far between, and the Church refused to ordain or train any indigenous clergy. In other states in central Mexico, where clergy was more abundant, such syncretism was much more low key and within the bounds of Catholic tradition. Places like Bolivia and southern Mexico were too impoverished for the Church to really care about them, and the hierarchical Church's presence was sparse at best. Besides, if the future of the Church lies in the First World, even amongst anti-immigrant right-wing Catholics, the future would be bleaker still. At least most people in Latin America know what being Catholic looks like, even if they take it to heart imperfectly. Maybe this is not so bad.